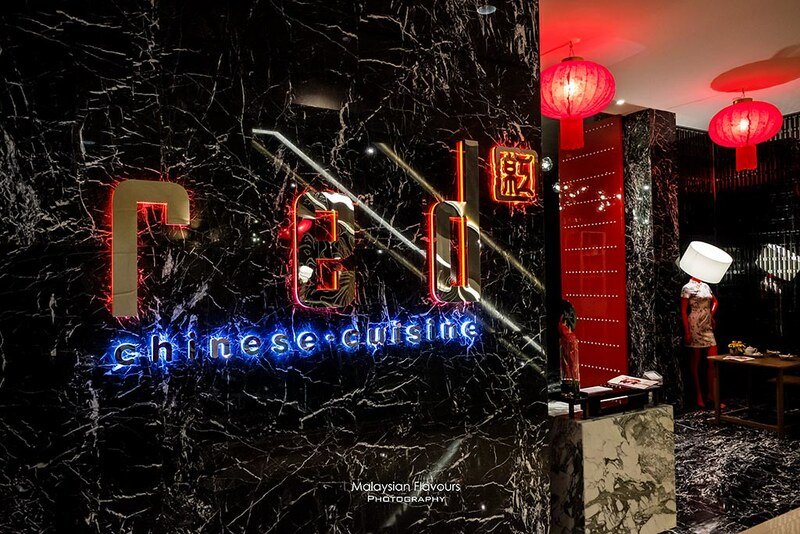 Celebrate nostalgic Chinese New Year with festive set menu 2019 from Red Chinese Cuisine, Pullman KLCC Hotel! 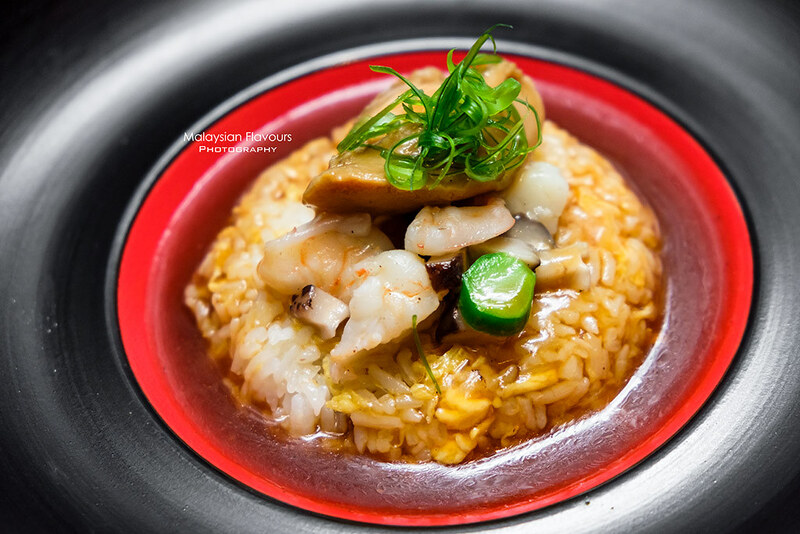 Fujian style Seafood Fried Rice with Whole Abalone is must-try! 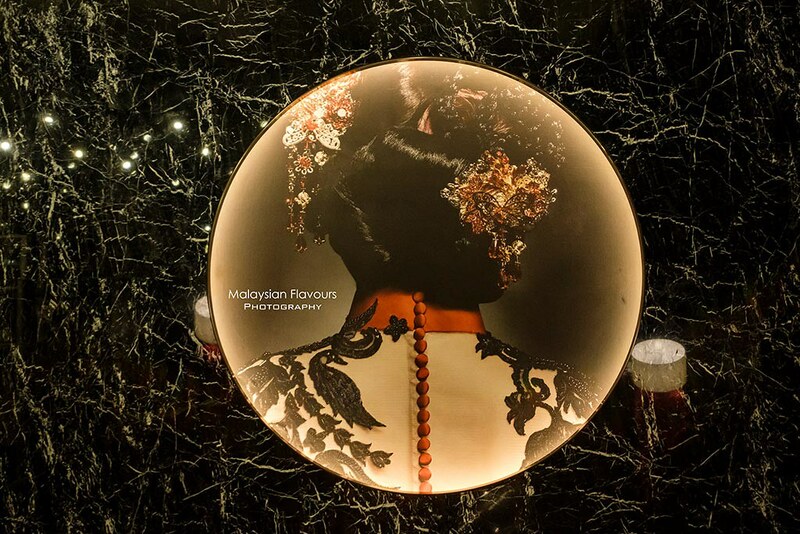 Enjoy a nostalgic Chinese New Year with Pullman KLCC this year as the hotel put together thoughtful decorations that celebrate timeless cultural traditions – pop-up retro gorecry store, 80s knick-knacks and collectibles, further adorned with red lanterns and pink cherry blossoms to liven up the festive mood. 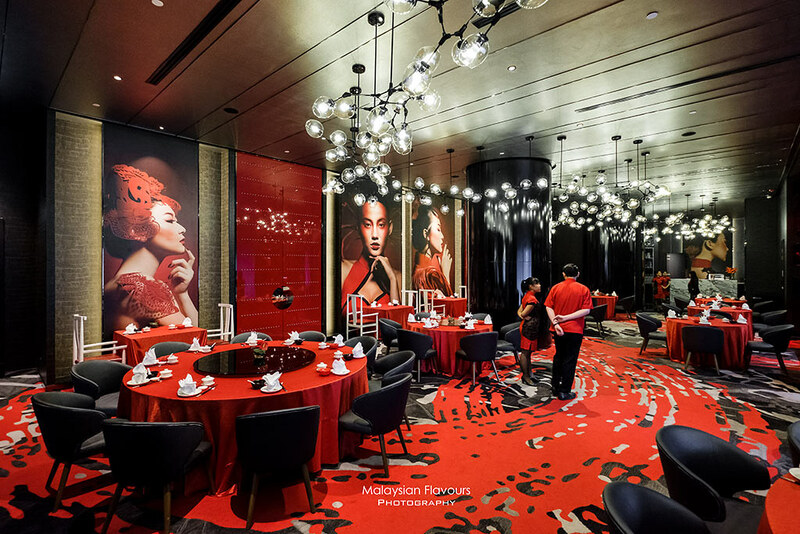 Also, not to forget, a menu of auspicious delicacies specially crafted by talented chef from Red Chinese Cuisine, Pullman KLCC, for your reunion dinner. 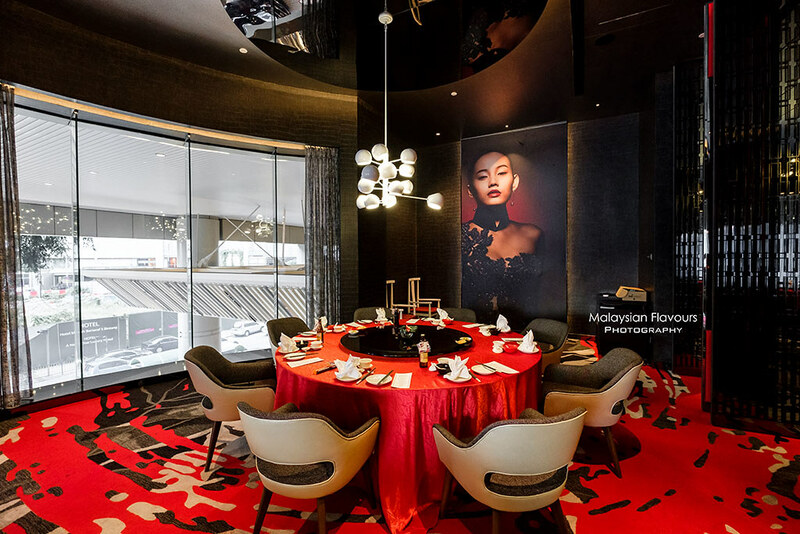 Diners can take their pick of three elebrotory, priced from RM1388 to RM1888. Available from 4 January through 19 February 2019. From Fresh Fruits & Garden Greens Yee Sang with Strawberry Sauce to Scrambled Egg White with Tomatoes & Bamboo Fungus, Stir Fried Mantis Shrimp with Fish Roe and Asparagus, Pan Fried Chinese Pudding & Sweet Purple Potato and Fujian Style Seafood Fried Rice with Whole Abalone – get ready for your delicious CNY feast at Red Chinese Cuisine. 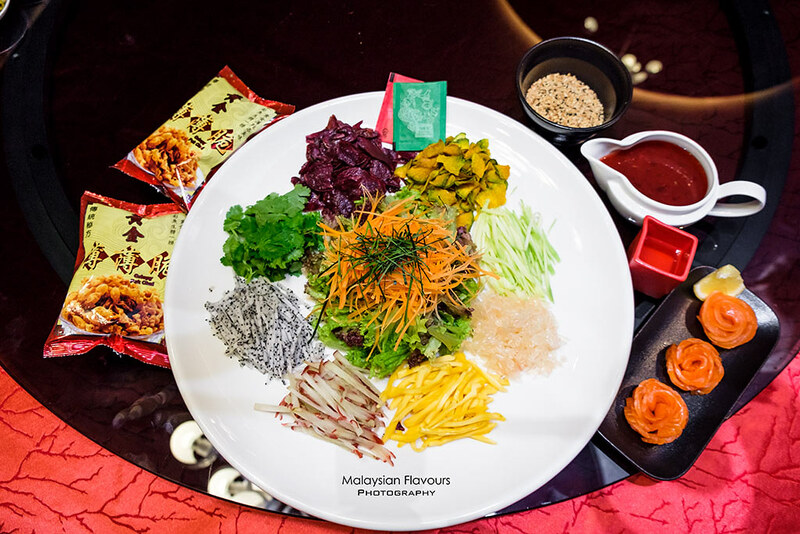 We sampled few dishes from Pullman KLCC 2019 CNY festive menu last week, started with Fresh Fruits & Garden Salad Yee Sang. 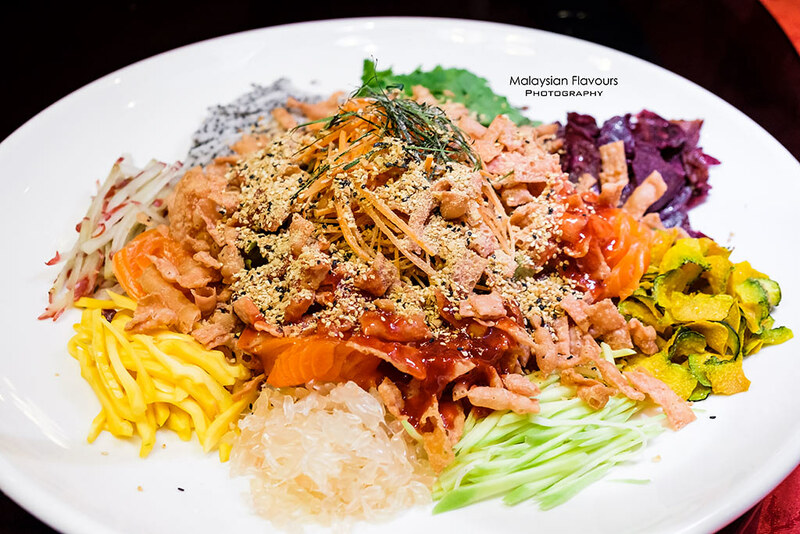 It is paired with Red’s very own homemade sauces – Strawberry, Sesame Plum or Pineapple Plum dressing and 2 choice of toppings – salmon, tuna, scallop lips, jellyfish, sea urchin, tempura prawn and crispy white bait that add great texture to the fruity, refreshing Yee Sang. Let’s toss to health, prosperity and luck! Next, Double-boiled Sea Whelk Soup with Matsutake Mushroom, Winter Melon & Conpoy that is so nourishing and comforting, yielded with flavours and essence from chicken, herbs, and various ingredients. 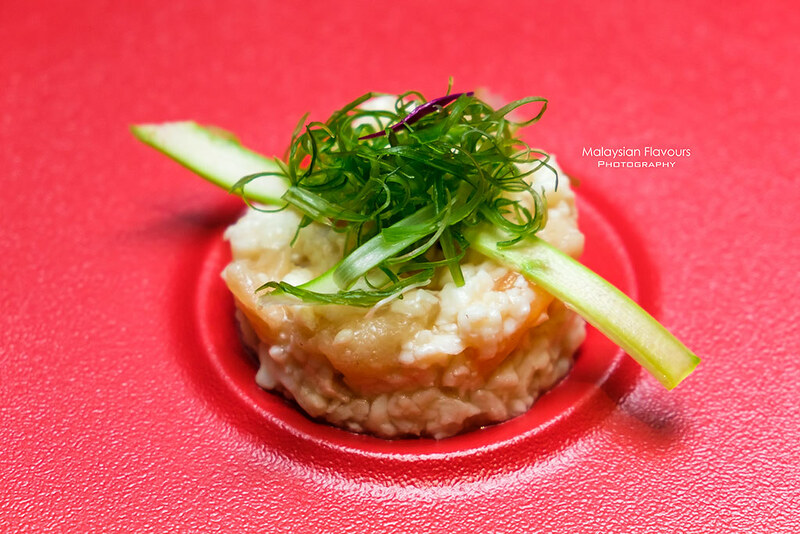 Moist, fluffly scrambled egg white, flavours heighten up with umaminess of tomatoes and soft cruch from bamboo Fungus. Like a creative makeover to our traditional Tomato Scrambled Egg. Healthier too! Stir Fried Mantis Shrimp with Shrimp Roe and Asparagus. Our top pick of the night. 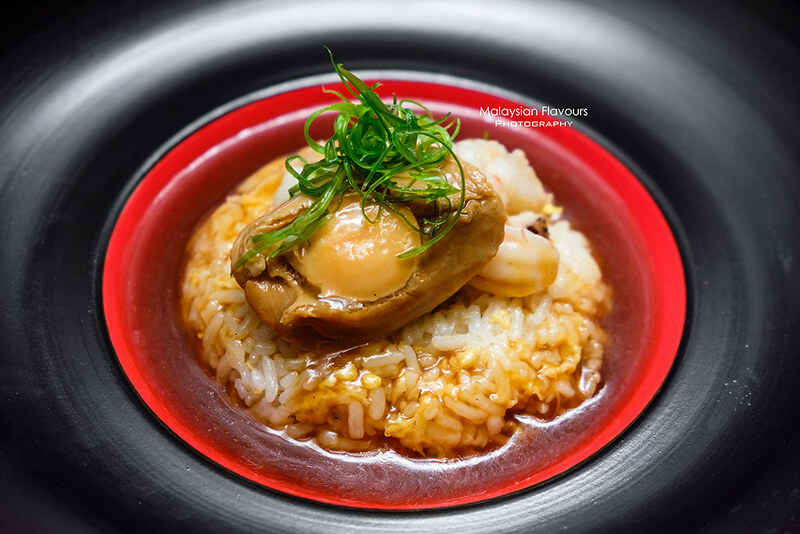 Inspired from our Chinese Men Fan (焖饭), chef created this dish by first stir-frying the rice with egg, carefully dressed it with rich, flavourful braised abalone sauce, topped with seafood and whole abalone. Comfort food with luscious touch. Must-try. 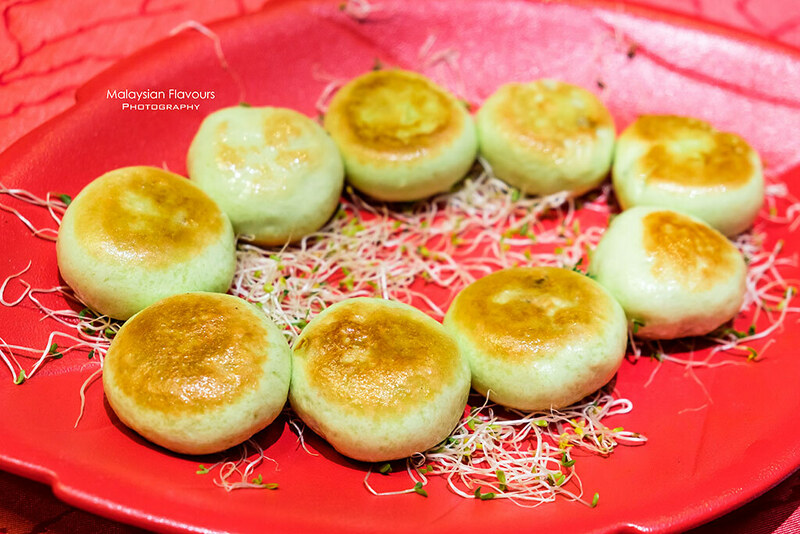 While the usual deep fried Nian Gao or steamed Nian Gao with coconut flakes is much closer to the classic, Chef Linus decided to give this favourite Chinese New Year dessert a new twist by wrapping it into a bun, together with purple sweet potato! Definitely a bun with surprised filling! 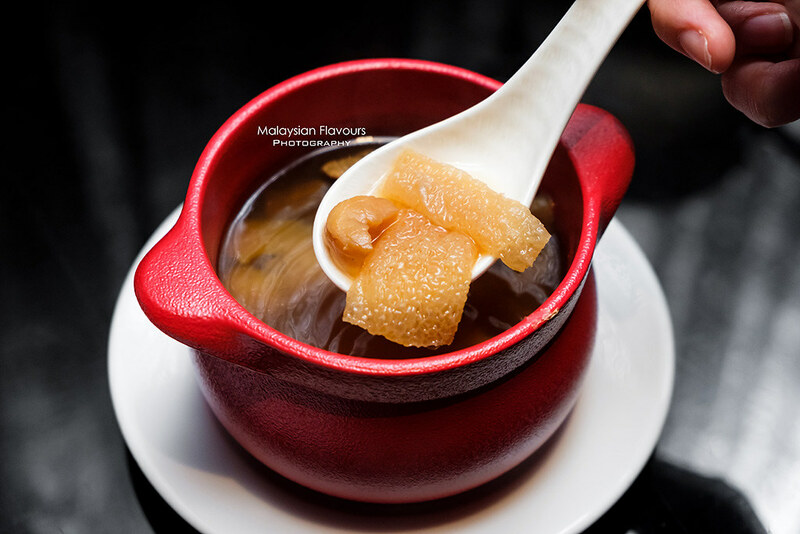 Check out more tantalizing food from Red Chinese Cuisine Pullman KLCC this Chinese New Year! 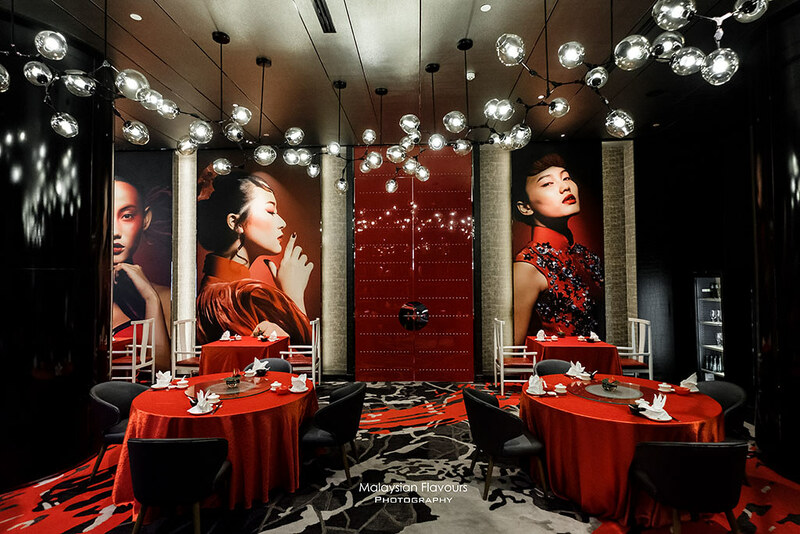 Red remains open on the Eve of Chinese New Year and throughout the 15-day of celebratio. 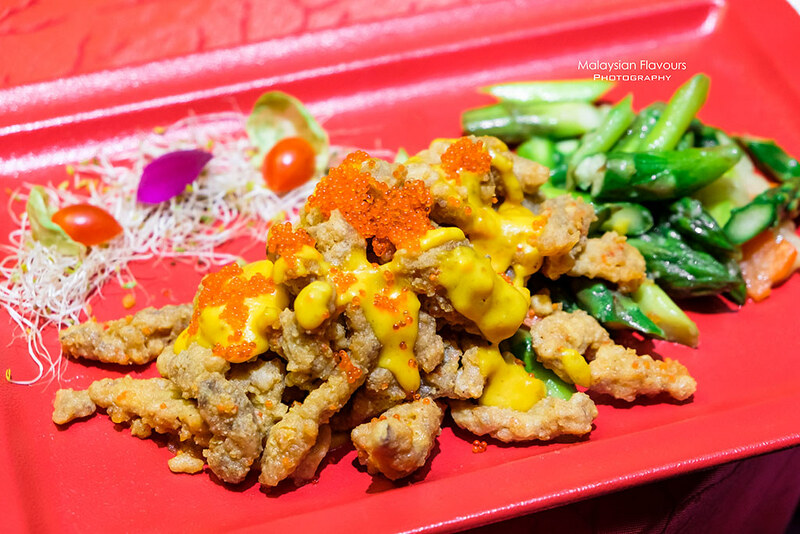 On 12 February 2019, there will be a lion dance performance and giant Yee Sang Toss to commence the occasion with the public. For enquiries and reservations, call +6-3 2170 8888 extn 8200 or email restaurant@pullman-klcc.com. 4, Jalan Conlay, Kuala Lumpur, Malaysia.